"Oskar Höfinger 1979/96 Var. 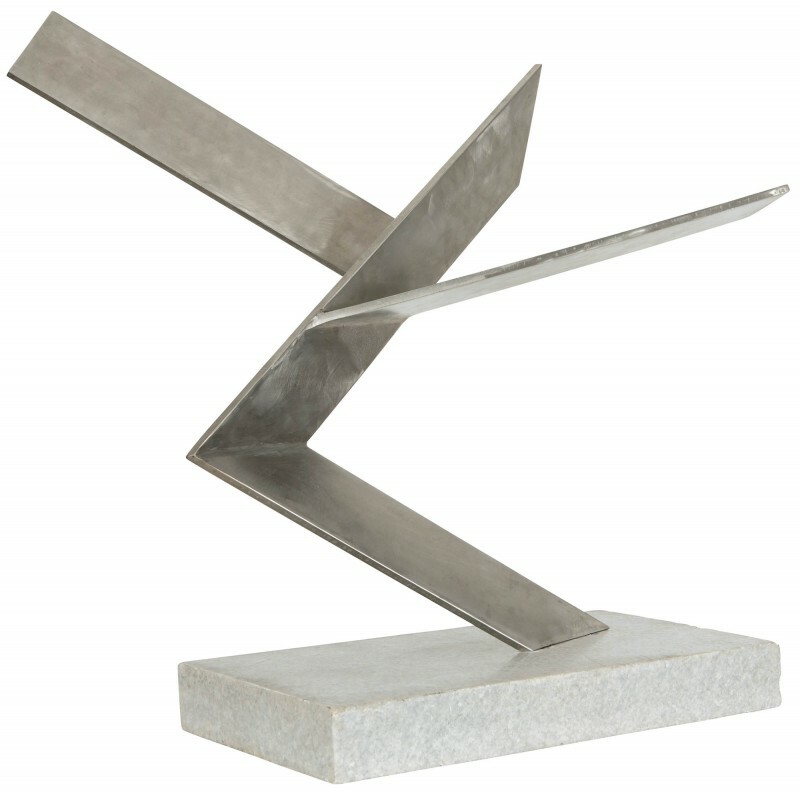 2"
Oskar Höfinger`s “Seiltänzer” (“Ropedancer”) belongs to the artist’s period in the late 1970ies and early 1980ies which was characterized by prestigious commissional works and the material chrome-nickel steel. The stainless steel gave Höfinger, one of the last living graduates of the class of Fritz Wotruba, the opportunity for his free expansive design. “Seiltänzer” is stylistically related to the monumental relief “Lebensrune” (64.6 sq ft) which he made for the UNO City in Vienna. Here the human shape which determines Höfingers entire oeuvre is reduced to the essential. It is shown as an anthropomorphic sign full of dynamic elegance. The „Seiltänzer“ is characterized by a balanced relationship of acrobatic risk and inner balance, a courageous moving forward and consciously rest in himself.